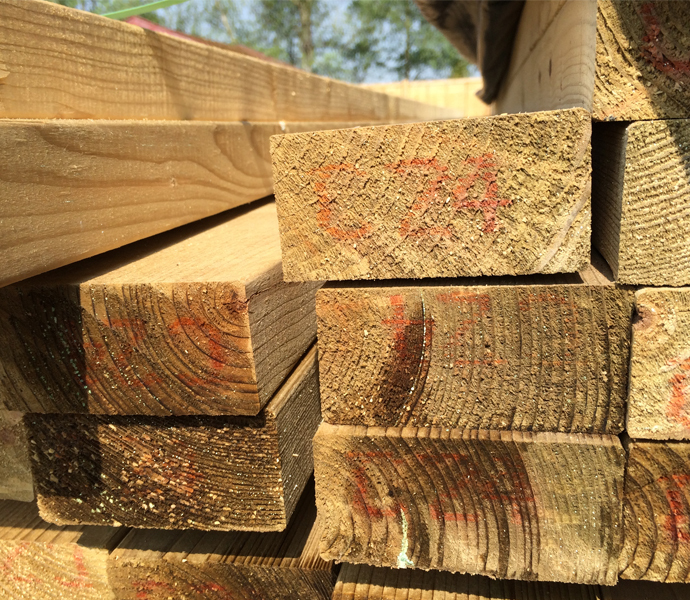 We supply Scandinavian/Baltic carcassing timber for construction work, kiln dried, regularised & stress graded to minimum C16 and pressure treated. This is stocked in 45mm thickness & 45mm, 70mm, 95mm, 145mm and 200mm widths in 3.6m and 4.8m lengths (on selected sizes). By regularising this ensures consistent sizing of the product. The term regularising means that the timber is of a consistent size. To ensure this the timber is planed all round and four ‘eased’ (rounded) edges.